Microsoft’s General Manager for Windows Server Erin Chapple posted last week about Nano Server (under a meaningless PR-speak headline) to explain that Nano Server, the most stripped-down edition of Windows Server, is being repositioned. When it was introduced, it was presented not only as a lightweight operating system for running within containers, but also for infrastructure roles such as hosting Hyper-V virtual machines, hosting containers, file server, web server and DNS Server (but without AD integration). In future, Nano Server will be solely for the container role, enabling it to shrink in size (for the base image) by over 50%, according to Chapple. It will no longer be possible to install Nano Server as a standalone operating system on a server or VM. This change prompted Microsoft MVP and Hyper-V enthusiast Aidan Finn to declare Nano Server all but dead (which I suppose it is from a Hyper-V perspective) and to repeat his belief that GUI installs of Windows Server are best, even on a server used only for Hyper-V hosting. Prepare for a return to an old message from Microsoft, “We recommend Server Core for physical infrastructure roles.” See my counter to Nano Server. 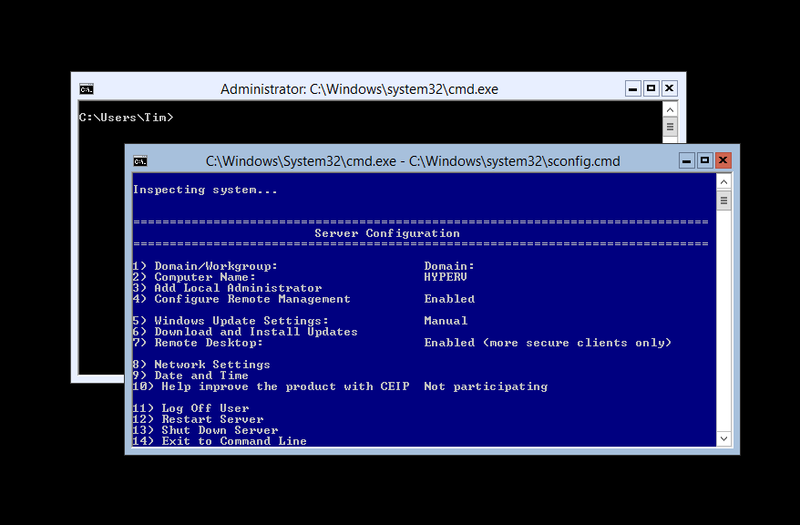 PowerShell gurus will repeat their cry that the GUI prevents scripting. Would you like some baloney for your sandwich? I will continue to recommend a full GUI installation. Hopefully, the efforts by Microsoft to diminish the full installation will end with this rollback on Nano Server. Finn’s main argument is that the full GUI makes troubleshooting easier. Server Core also introduces a certain amount of friction as most documentation relating to Windows Server (especially from third parties) presumes you have a GUI and you have to do some work to figure out how to do the same thing on Core. Nevertheless I like Server Core and use it where possible. The performance overhead of the GUI is small, but running Core does significantly reduce the number of security patches and therefore required reboots. Note that you can run GUI applications on Server Core, if they are written to a subset of the Windows API, so vendors that have taken the trouble to fix their GUI setup applications can support it nicely. Another advantage of Server Core, in the SMB world where IT policies can be harder to enforce, is that users are not tempted to install other stuff on their Server Core Domain Controllers or Hyper-V hosts. I guess this is also an advantage of VMWare. Users log in once, see the command-line UI, and do not try installing file shares, print managers, accounting software, web browsers (I often see Google Chrome on servers because users cannot cope with IE Enhanced Security Configuration), remote access software and so on. Only developers now need to pay attention to Nano Server, but that is no reason to give up on Server Core. Microsoft Hyper-V vs VMWare: is System Center the weak point? VMWare guy struggling to learn a different way of doing things? There might be a little of that; but Pott makes a fair point (in another comment) about the difficulty, with Hyper-V, of isolating the hypervisor platform from the virtual machines it is hosting. For example, if your Hyper-V hosts are domain-joined, and your Active Directory (AD) servers are virtualised, and something goes wrong with AD, then you could have difficulty logging in to fix it. Pott is talking about a 15,000 node datacenter, but I have dealt with this problem at a micro level; setting up Windows to manage a non-domain joined host from a domain-joined client is challenging, even with the help of the scripts written by an enterprising Program Manager at Microsoft. Of course your enterprise AD setup should be so resilient that this cannot happen, but it is an awkward dependency. Writing about enterprise computing is a challenge for journalists because of the difficulty of getting hands-on experience or objective insight from practitioners; vendors of course are only too willing to show off their stuff but inevitably they paint with a broad brush and with obvious self-interest. Much of IT is about the nitty-gritty. I do a little work with small businesses partly to get some kind of real-world perspective. Even the little I do is educational. For example, recently I renewed the certificate used by a Microsoft Dynamics CRM installation. Renewing and installing the certificate was easy; but I neglected to set permissions on the private key so that the CRM service could access it, so it did not work. There was a similar step needed on the ADFS server (because this is an internet-facing deployment); it is not an intuitive process because the errors which surface in the event viewer often do not pinpoint the actual problem, but rather are a symptom of the problem. It does not help that the CRM Email Router, when things go wrong, logs an identical error event every few seconds, drowning out any other events. In other words, I have shared some of the pain of sysadmins and know what Pott means by “stupid little nerd knobs”. Getting back to the point, I have actually installed System Center including Virtual Machine Manager in my own lab, and it was challenging. System Center is actually a suite of products developed at different times and sometimes originating from different companies (Orchestrator, for example), and this shows in lack of consistency in the user interface, and in occasional confusing overlap in functionality. I have a high regard for Hyper-V itself, having found it a solid and fast performer in my own use and an enormous advance over working with physical servers. The free management tool that you can install on Windows 7 or 8 is also rather good. The free Hyper-V server you can download from Microsoft is one of the best bargains in IT. Feature-wise, Hyper-V has improved rapidly with each new release and it seems to me a strong offering. We have also seen from Microsoft’s own Azure cloud platform, which uses Hyper-V for virtualisation, that it is possible to automate provisioning and running Hyper-V at huge scale, controlled by easy to use management tools, either browser-based or using PowerShell scripts. Talk private cloud though, and you are back with System Center with all its challenges and complexity. Well, now you have the option of Azure Pack, which brings some of Azure’s technology (including its user-friendly portal) to enterprise or hosting provider datacenters. Microsoft needed to harmonise System Center with Azure; and the fact that it is replacing parts of System Center with what has been developed for Azure suggests recognition that it is much better; though no doubt installing and configuring Azure Pack also has challenges. My last reflection on the above is that ease of use matters in enterprise IT just as it does in the consumer world. Yes, the users are specialists and willing to accept a certain amount of complexity; but if you have reliable tools with clearly documented steps and which help you to do things right, then there are fewer errors and greater productivity. I am attending the Microsoft Management Summit in Las Vegas (between 5 and 6,000 attendees I was told), where Brad Anderson, corporate vice president of Windows Server & System Center, gave the opening keynote this morning. There was not a lot of news as such, but a few things struck me as notable. That last figure is astonishing but needs more context before you can take it seriously. Nevertheless, there is momentum behind Hyper-V. Microsoft says it is now optimising products like Exchange and SQL Server specifically for running on virtual machines (that is, Hyper-V) and it now looks like a safe choice, as well as being conveniently built into Windows Server 2012. I also noticed how Microsoft is now letting drop some statistics about use of its cloud offerings, Azure and Office 365. The first few years of Azure were notable in that the company never talked about the numbers, which is reason to suppose that they were poor. Today we were told that Azure storage is doubling in capacity every six to nine months, that 420,000 domains are now managed in Azure Active Directory (also used by Office 365), and that Office 365 is now used in some measure by over 20% of enterprises worldwide. Nothing dramatic, but this is evidence of growth. CiS systems use three different types of storage: performance-oriented flash SSDs, capacity- oriented SAS disk drives and cloud storage. Data is moved from one type of storage to another according to its relative activity level and customer-chosen policies. Data that becomes more active is moved to a faster type of storage and data that becomes less active is moved to a higher capacity type of storage. CiS also uses compression and de-duplication for maximum efficiency. This is a powerful concept and could be just the thing for admins coping with increased demands for storage. I can also foresee this technology becoming part of Windows server, integrated into Storage Spaces for example. A third topic in the keynote was mobile device management. When Microsoft released service pack 1 of Configuration Manager (part of System Center) it added the ability to integrate with InTune for cloud management of mobile devices, provided that the devices are iOS, Android, Windows RT, or Windows Phone 8. A later conversation with product manager Andrew Conway confirmed that InTune rather than EAS (Exchange ActiveSync) policies is Microsoft’s strategic direction for mobile device management, though EAS is still used for Android. “Modern devices should be managed from the cloud” was the line from the keynote. InTune includes policy management as well as a company portal where users can install corporate apps. What if you have a BlackBerry 10 device? Back to EAS. A Windows Mobile 6.x device? System Center Configuration Manager can manage those. There is still some inconsistency then, but with iOS and Android covered InTune does support a large part of what is needed. 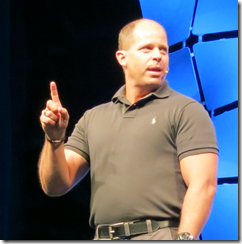 Microsoft’s Hyper-V Server 2012: too painful to use? I was excited about the free stand-alone version and decided to try it out. I downloaded the Hyper-V 2012 RC standalone version and installed it. This thing is a trainwreck! There is not a chance in hell that anyone will ever use this thing in scenarios like mine. It obviously intended to be used by IT Geniuses in a domain only. I would really like a version that I can up and running in less than half an hour like esxi. How the heck is anyone going to evaluate it this in a reasonable manner? To be clear, this is about the free Hyper-V Server, which is essentially Server Core with only the Hyper-V role available. 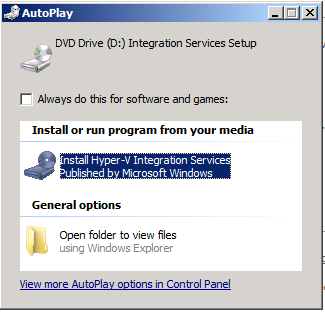 It is not about Hyper-V in general as a feature of Windows Server and Windows 8. Personally I think the standalone Hyper-V Server is a fantastic offering; but at the same time I see this user’s point. 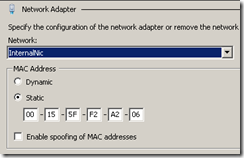 If you join the Hyper-V server to a Windows domain and use the administration tools in Windows 8 everything is fine; but if you are, say, a Mac user and download Hyper-V Server to have a look, it is not obvious what to do next. As it turns out you can get started just by typing powershell at a command prompt and then New-VM, but how would you know that? Further, if Hyper-V is not joined to a domain you will have permission issues trying to manage it remotely. Install Hyper-V Server, and the screen you see after logging on does not even mention virtualization. By contrast, with VMWare’s free ESXi has a web UI that works from any machine on the network and lets you get started creating and managing VMs. It is less capable than Hyper-V Server; but for getting up and running quickly in a non-domain environment it wins easily. These specifications may have been improved for Hyper-V Server 2012; or perhaps reduced; or perhaps Microsoft really is making it a trial. It is all rather unclear, though I would guess we will get more details soon. In addition, File and Storage services are installed by default, which I presume means you can use Storage Spaces with Hyper-V Server, which could be handy for hosting VMs with dynamically expanding virtual hard drives. Technically you could also use it as a file server, but I presume that would breach the license. 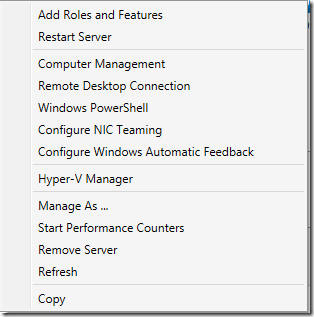 For working with VMs themselves of course you have the Hyper-V Manager which is a great tool and not difficult to use. The question then: with all the work that has gone into these nice GUI tools, why does Microsoft throw out Hyper-V Server with so little help that a potential customer calls it “too painful to use”? Normally the idea of free editions is to entice customers into upgrading to a paid-for version. That is certainly VMWare’s strategy, but Hyper-V seems to be different. It is actually good enough on its own that for many users it will be a long time before there is any need to upgrade. Microsoft’s hope, presumably, is that you will run Windows Server instances in those Hyper-V VMs, and these of course do need licenses. If you buy Windows 8 to run the GUI tools, that is another sale for Microsoft. In fact, the paid-for Windows Server 2012 can easily work out cheaper than the free editions, if you need a lot of server licenses, since they come with an allowance of licenses for virtual instances of Windows Server. Hyper-V Server is only really free if you run free software, such as Linux, in the VMs. Personally I like Hyper-V Server for another reason. Its restricted features mean that there is no temptation to run other stuff on the host, and that in itself is an advantage. After discovering that in-place upgrade of Windows Hyper-V Server 2008 R2 to the 2012 version is not possible, I set about the tedious task of exporting all the VMs from a Hyper-V Server box, installing Hyper-V Server 2012, and re-importing. There are many reasons to upgrade, not least the irritation of being unable to manage the VMs from Windows 8. Hyper-V Manager in Windows 8 only works with Windows 8/Server 2012 VMs. It does seem to work the other way round: Hyper-V Manager in Windows 7 recognises the Server 2012 VMs successfully, though of course new features are not exposed. 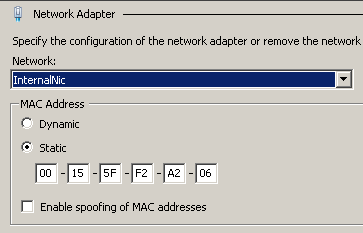 The advantage is that the operating system will recognise it as the same NIC after the import. 2. Remove any snapshots before the export. In one case I had a machine with a snapshot and the import required me to delete the saved state. 3. After installing Hyper-V 2012, don’t forget to check the date, time and time zone and adjust if necessary. You can do this from the sconfig menu. What is the difference between Register and Restore? Do not bother pressing F1, it will not tell you. Instead, check Ben Armstrong’s post here. If you choose Register, the VM will be activated where it is; not what you want if you mistakenly ran Import against a VM exported to a portable drive, for example. Restore on the other hand presents options in a further step for you to move the files to another location. 5. For some reason I got a remote procedure call failed message in Hyper-V Manager after importing a Linux VM, but then when I refreshed the console found that the import had succeeded. 6. Don’t forget to upgrade the integration services. 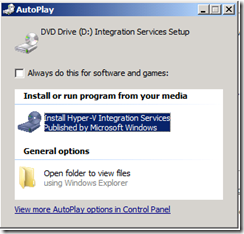 Connect to the server using the Hyper-V Manager, then choose Insert Integration Services Setup Disk from the Action menu. 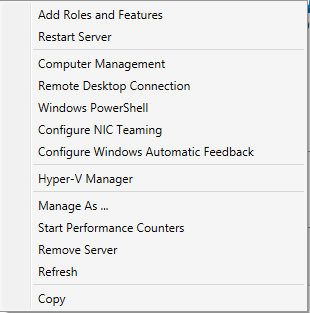 Cosmetically the new Hyper-V Server looks almost identical to the old: you log in and see two command prompts, one empty and one running the SConfig administration menu. Check the Hyper-V settings though and you see all the new settings, such as Enable Replication, Virtual SAN Manager, single-root IO virtualization (SR-IOV), extension support in a virtual switch, Live Migrations and Storage Migrations, and more. Q33. 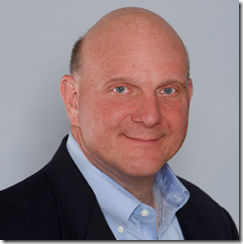 Will there be a next version of Windows Small Business Server 2011 Standard? The next question confirms that there will not be a new edition of Small Business Server 2011 Premium either. The official replacement is Windows Server 2012 Essentials, which is in effect the next version of Small Business Server Essentials. This handles local Active Directory, file sharing, local applications, and a connector to Office 365. However there is a 25 user account limit, whereas SBS standard supported up to 75 users, so there will be some businesses who are now forced to choose between moving to Windows Server Standard, or ditching the local server completely (which is often impractical). Microsoft is pinning the reason on cloud computing, which makes some sense. Now and again I am asked by small businesses what sort of technology they should adopt; and my answer in general is to point them at either Microsoft Office 365 or Google Apps. It is not quite clear-cut. A Small Business Server can theoretically work out cheaper, if you presume that it will not require any external maintenance. That is rarely the case though, and for most people the cloud-hosted option will be both cheaper and less troublesome. What if you do need on-premise Active Directory, Exchange and SharePoint, which are the core components of SBS? Technically, there are in my opinion better ways to do this than with SBS. While SBS has always been excellent value for money, it is over-complex because it crams onto one box applications which are designed to run on separate boxes. It does work, but if anything goes wrong it is actually harder to troubleshoot than when you have separate servers. I prefer to see one Hyper-V box with separate Virtual Machines (VMs) for each major function, than SBS running on bare metal. VMs are also more flexible, and easier to restore if the hardware breaks. Farewell then to SBS. I will remember it with some affection though. Think back to the nineties, when most email was POP3, and most internet was dial-up. People had problems like losing emails, because they had been downloaded to a desktop PC and they were out and about with a laptop. Moving to Microsoft Exchange, for which Outlook is the client, was bliss by comparison. Email synchronised itself to all your PCs, you could work offline, and Outlook for all its faults became a one-stop application for calendar, contacts and messages. The beauty of SBS was that you could get Exchange along with the benefits of a Windows domain – one central directory of users and the ability to assign permissions to file shares – at a price that was more than reasonable. I also think of SBS as a reliable product, when correctly installed. When it does go wrong it is often due to users trying to do stuff that does not quite work, or other applications which get installed on the same box, or hardware faults which users have attempted to fix by messing around with Windows, or anti-virus software misbehaving (Sophos! Confess!). Microsoft is doing the right thing though. The SBS bundle makes little sense today, and if you do still need it, you can stick with the 2011 edition for a few years yet. During Mobile World Congress I met with some folk from Twilio, the cloud telephony company, who said something that interested me. Twilio uses Amazon Web Service (AWS) for its infrastructure and told me that essentially there is no choice, AWS is the only cloud provider which can scale on demand quickly and smoothly as required. Today at QCon London I met a guy from another major cloud-based company, which is also built on Amazon, and I put the same point to him. Not only did he agree, he said that Amazon is increasing its lead over the competition. Amazon is less visible than some, he said, because of its approach to PR. It concentrates on marketing directly to developers rather than chasing press stories or running big advertising campaigns. Amazon has also just reduced its prices. This is mixed news for the industry. In general developers I speak to like working with AWS, and its scalability is a huge benefit when, for example, you are entering a new market. You can do so without having to invest in IT infrastructure. On the other hand, stronger competition would be healthy. My contact said that he reckoned his company could move away from Amazon in 12 weeks or so if necessary, so it is not an absolute lock-in.